For almost thirty years on the weekend after Thanksgiving, the Bisbee Women’s Club presents the Historic Home Tour. Ten turn-of-the-century homes will be featured this year. In the early 1900’s, Bisbee was the largest city between St. Louis and San Francisco because of the booming mining industry. Miners built their homes in the surrounding hillsides, then spread out to the Warren district. When mining came to an end in the 1970’s. the miners left behind their cabins, abondoned. 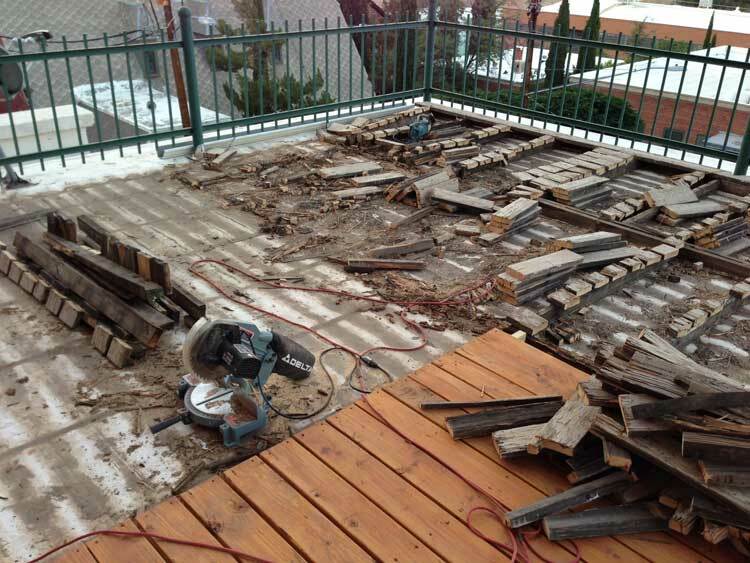 BISBEE – “Remuddled” is how Nanette Slusser describes the state of her home when she bought it. What was thought to once have been the headquarters of the lumberyard had been turned into two apartments. And it languished on the real-estate market for more than a year. So, come visit Bisbee this Friday-Saturday. Bring the entire family to see where the miners lived decades ago. Perhaps you’ll be inspired also to transform a broken down miner’s cabin into a show piece for the future Historic Home Tour . Stay around for the lighting of Main Street Friday night with dancing, singing and Santa. Join us on Main Street for the special Holiday Art Walk on Saturday til 7pm. There will be music, snacks and drinks. Spend a night in Bisbee and wake up to the gorgeous mountain view as experienced by the early settlers to Bisbee. Maybe you’ll fall in love with Bisbee like so many of us here. Historic Home Tour – Friday Nov 25, 26 10am-4pm, Saturday Nov 26, 10am-3pm. Advanced tickets sale at the Visitor’s Center $12. Call 520-432-3554 for children and military discounts. Silent Art Chair Auction – View chairs at St. John’s Episcopal Church same hours as the Home Tour. Winners will be announced Saturday 4:30pm. Festival of Lights – at Grassy Park in front of Bisbee Mining and Historical Museum Friday 6pm. See lighting of Bisbee Main Street to kick off this holiday season. Holiday Art Walk on Main Street- 10am – 7pm Saturday. There will not be a Gem and Mineral Show as originally announced this year. The next Queen Mine Gem & Mineral Show will be in May of 2011. REASON #1: Chocola’te, located at 134 Tombstone Canyon Blvd – where chocolate is an art. Website: http://www.spiritedchocolate.com/ Telephone: 866-221-9722. This year, Chocola’te is open from 10am to 6pm Wednesday through Sunday until Easter. They will open every day from December 18, 2010 through January 2, 2011, also from 10am to 6pm. Below is an article written a year ago published by the Sierra Vista Herald. SIERRA VISTA – Who would have thought that a brown, bitter drink made by ancient Mayans 4,000 years ago would become one of the most sought-after confections in the world. In Bisbee, two chocolatiers are developing a business that they say will offer some of the finest chocolates made in this part of the world. Gordon and Kim Terpening have brought their flavorful creations to the artsy town and just opened Chocolate on Tombstone Canyon near Castle Rock. The couple had been coming to Bisbee for several years during the cold Homer, Alaska, winters and bought a home here. When they felt they knew enough to start a business, they set up shop. The couple held a grand opening earlier this month. One hundred people filtered in and out of their shop during the day. For the Terpenings, chocolate has become their lives, but it wasn’t always that way. He started researching and trying the cacao beans from different regions of the world. Each geographic type has to be handled a bit differently to bring out the best flavor. The beans come from big pods on plants in South America and Africa, he continued. Villagers cut the pods and remove the fruit’s meat and the beans. They toss the beans into a box, cover them with banana leaves, and the aging process begins. Beans are white while in the pod but turn dark as they ferment and even darker when they are roasted. He buys the raw beans, sorts them by hand and roasts and grinds them himself. In the roasting process, the beans tell him when they have had enough by the cracking sound they make. After the chocolate has spent about two days in the melange, it is transferred to the tempering machine. That keeps the chocolate from forming crystals, which can cause the chocolate to crumble rather than snap when broken. “The snap imparts the scent and is very important in chocolate-making,” said Gordon. He also found the importance of cacao butter. Half of a cacao bean is butter. It’s what makes chocolate rich and creamy. But many manufacturers of chocolate remove it from their products and replace it with other agents, like soy lecithin. The Terpenings leave all the natural butter in their chocolates. That has given rise to a unique art form for Kim, who has been an artist for 30 years. She created recipes that produced mini works of art. One with a touch of Gran Marnier is decorated with brightly colored cacao butter. “I’m thinking of re-creating my paintings on the chocolates,” she said. In another of her favorites, Kim makes her own caramel for the centers and adds a hint of sea salt on top. The combination makes an incredible taste treat. The Terpenings say the best time to eat chocolate is in the morning, while the palate is still fresh. “I’m thinking of developing a breakfast box,” Kim said. REASON #2: Optimo Hatworks, located at 47 Main Street. There is a wealth of information on their website: www.optimohatworks.com. Walking up the eerily quiet hill from Brewery Gulch in Bisbee, I took it slowly. The owners at the High Desert Inn had predicted a stroll through the business district would be nostalgic, a trip back to the 1960s. They missed by a full decade. This was more like the ’50s. Nobody I encountered looked like Abbie Hoffman or Jerry Rubin. But I spotted dead ringers for Beat Generation heroes writer Jack Kerouac and poet Allen Ginsberg. Halfway up the hill, I stared into the window of the Optimo Custom Panama Hatworks and spotted a man wearing a creamy-white Panama hat. He bustled back and forth behind a 12-foot-long glass case with a dark wooden frame. Stacked neatly inside the case lay dozens of Panama hats. The only man I have ever known with the brass to wear a Panama hat under roof was Tennessee Williams, and he died back in 1983. That was before we all realized that A Streetcar Named Desire and The Glass Menagerie had been enough to earn him enduring fame in the American theater. The man behind the counter stood approximately the same height as Tennessee. He also wore the same style beard that Tennessee sometimes adopted. So I moved inside to get a better look and reassure myself I was not seeing an apparition. The man grinned delightedly as I approached. Sergot extended the hat for me to try on. I held my hands up defensively. I didn’t dare risk a move that could bring me close to financial disaster. Sensing my distress, Sergot assured me that he had many hats in the store priced at under a hundred dollars. He stood there fondling the creases on each side of the crown of what had to be the jewel of his collection. “Who does it remind you of?” Sergot asked. “Humphrey Bogart? Gary Cooper? OrsonWelles? Harry Truman? Winston Churchill? Yes,” he continued, “I’m talking of days gone by. A gentleman absolutely would not allow himself to be seen strolling along the boulevard with his head uncovered. Sergot arrived here as a footloose 20-year-old from Michigan journeying to see the whole country. That was nearly 30 years ago. He had become enamored with Panama Hats during a stopover in Santa Fe. REASON #3: Killer Bee Guy, located at 18 Main Street – killer bee honey, honey butters, honey mustards, whole seed honey mustards, wild killer bee honey combs, killer bee pollen, killer lip balm, high grade rub. Killer bee authority, removal expert and master killer bee keeper Reed Booth is recognized around the country from his appearances on Fox, National Geographic, Discovery and the Food Network. Reed’s award winning honey products have caused a stir in kitchens around the country… and around the world. Reed Booth, Killer Beekeeper and Killer Bee removal expert for 12 years, was born and raised in northern Wisconsin. Realizing at an early age that he was not covered with fur, he set out in search of warmer climes. His journey took him to almost every state and almost every town, including extensive travel in Latin America. Reed settled in Bisbee, Arizona, in 1985. This gave him a base from which to work and the ability to pursue his numerous interests. Being a home brewer and mead (honey wine) maker, it was only natural that keeping bees would soon follow. Besides having been a sign painter and an accomplished musician, Reed is also a gemologist with a degree from the Gemological Institute of America. In picking up the pen and the camera, Reed has shed a humorous and informative light on a very pertinent subject — Killer Bees. His book Confessions of the Killer Bee Guy is sure to delight and educate all who venture within its covers. With its natural, shining beauty reflected off the seasonal lights, it’s no wonder many of today’s leading artists are turning to copper to add a touch of elegance this holiday. 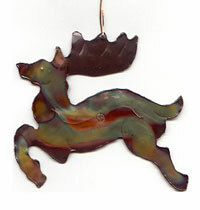 Robyn Downey, known as The Copper Lady, has created Christmas ornaments since 1975. Her custom-made ornaments crafted of pure copper wire depict choral angels, sun, reindeer, buffalo and other whimsical characters that continue to delight her customers here and abroad. Every ornament bears her signature, and Downey takes great pride in each individual work of art. Downey has an actual brick and mortar shop on Main Street, but also a large customer base from her website. Her creations are mostly chosen by personal requests and commissions. According to Downey, it takes a steady hand and each piece takes eight or ten processes. She first marks then cuts the copper, cleans it and scores it with her specialized tools. The Copper Shop, LLC also has a selection of copper clocks, wall vases, and twenty-four inch shields with Native American designs of copper feathers and leather hangers. Downy also creates copper birds, lampshades, hanging pendant lights, and hundreds of copper items, all great for gift giving. Treat yourself to a comfortable suite with all the amenities of home in between shopping trips. Gym Club Suites in located in the quieter part of town, but only steps from Main Street. 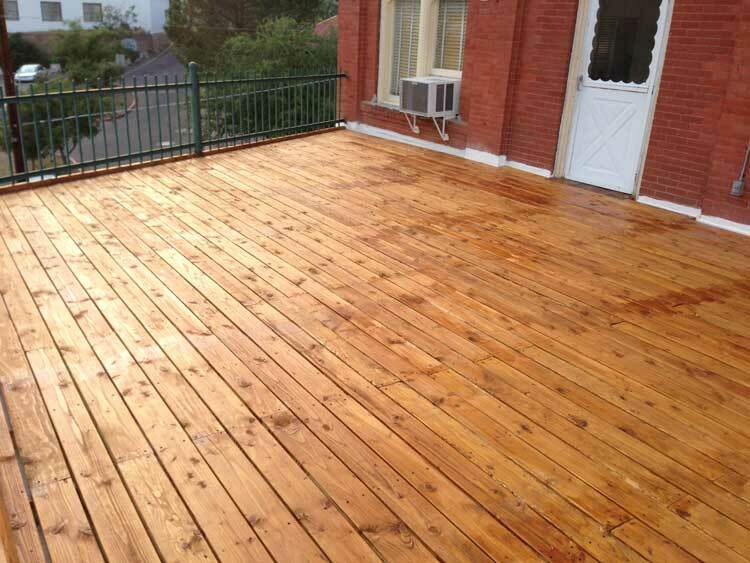 Many of our suites have decks with a view of the mountains and the town. Call early to pick the best suites. Bisbee offers a very nice selection of bed and breakfasts, inns and one “real” hotel. The Gym Club Suites is one of the inns that allows you to more fully experience the history and lifestyle of Bisbee with its location and “unique” collection of apartment sized rooms. My family of four stayed at the Gym Club Suites during a weekend of hiking the Coronado Cave and the Echo Canyon Loop in the Chiricahuas. I was attracted to the idea of having a one bedroom suite in town for a similar rate to staying at The Copper Queen or the nicer B&B’s in town; I ended up being disappointed that we only stayed for one night. The Gym Club Suites are located in the original YMCA built in Bisbee during 1903 by Phelps Dodge and then converted into apartments in the 1980’s. It is located above The Copper Queen Hotel and the Church. Each suite is completely unique with a nice range of bedding configurations for families or couples traveling together. Rates range from around $85 for the smallest studio on weekdays up to $185 for the largest 2 bedroom 1300 sq ft suite on the weekends. 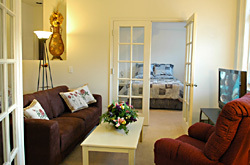 All units have a fully furnished kitchen, flat screen TVs and a living room/sitting area. 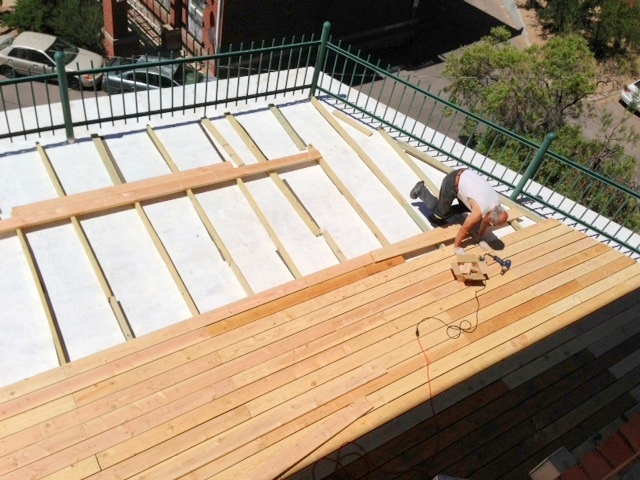 Many have decks that have very interesting views back over Old Town Bisbee and into the Mule Mountains. So that expectations are set for this type of property: office hours are limited and there is no coffee service or breakfast. Your layout and furniture will be different than the room next door and touch up paint may be missing in a few spots. However, with the right expectations (and a peek at your room rate) you will have a great stay here. The rooms were clean and service was friendly. We were escorted to our room and pillows came within 10 minutes when we called for extras. We had the good fortune to select suite106, which had one of the decks overlooking town, a queen bed in the bedroom and 3 flip down futon beds, which allowed our kids to each have their own bed. The furnishings and beds were comfortable, the flat screen TV was nice, as was the kitchen. However, the star for my wife and I was the deck, where we could hang out and enjoy the changing colors of the mountains, feel the chill of night creep in and enjoy some people watching for awhile. We also enjoyed being able to leave our car parked and walk down for dinner at Santiago’s and for coffee at Bisbee Coffee, both of which are less than 5 minutes away. As is the case for much of Old Town Bisbee, there are some challenges with parking and walking up hills, but that’s like complaining about hot sand at the beach…it’s just part of the deal. When we started packing up to head over the Chiricahuas we all talked about how much we wished we were coming back for another night and next time we go back, that will be the plan. I encourage you give the Gym Club Suites a try for your next trip to SE Arizona! 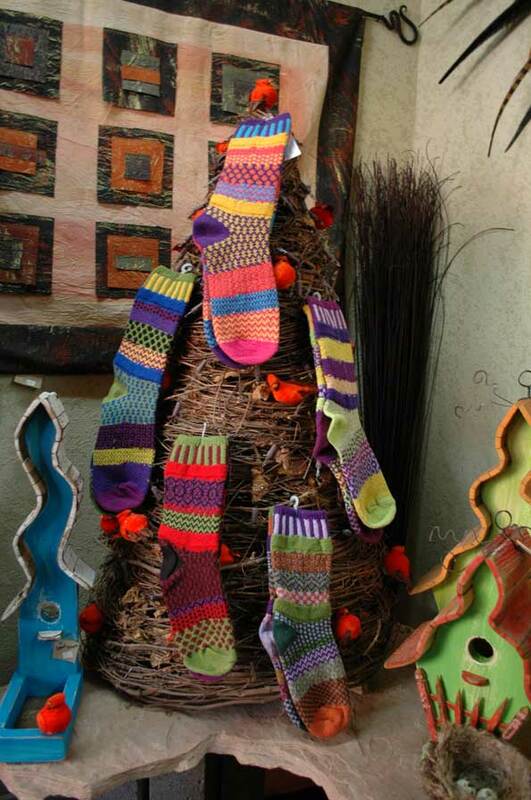 REASON #6: Full Moon on Main, 44 Main Street – offers beautiful socks your friends and family love to get for Christmas. You’re shopped out but still haven’t found gifts for those pesky relatives who have everything. Then you walk by Full Moon on Main and see Phoenix woodworker David Bruce’s folk art birdhouses, made from historic tin ceiling tiles, sitting in the window. Walk inside and you notice delicate, translucent bowls. Turns out that San Francisco Bay Area artist Margaret Dorfman makes them from fruits and vegetables that she cures and presses, then shapes into bowls. You know darn well your relatives don’t have any of those. This year they have beautiful long socks that everyone would love. MetalMorphosis is a business in southern Arizona with gallery locations in Bisbee and Tubac AZ. Our artwork styles range from southwest to abstract and contemporary. Our art offers a variety of many unique and distinctive designs. Some of our most popular are: decorative suns, lizards, iguanas, coyotes, quail, roadrunners, sconce and switch plate covers, and garden art. The work is cut out of steel with a waterjet, bent to give dimensions, finished with a unique airbrush technique and clear coated with UV protective polyurethane. Unless otherwise noted all items are available in any colors displayed on the website or shown on the color chart. The artwork is suitable for indoors or outdoors. If you’re ever in the area please visit one of our gallery locations. A trip to Bisbee would not be complete without a stop at Metalmorphosis. Whether your looking to improve your decor, or just need a metal alter ego, there is something here for everyone. Maybe you always wanted a metal tyranosaurus for the living room. They just might have what you’ve been looking for. They also have very realistic 3D sculptures in addition to very imaginative creatures. REASON #8: Paleface Trading Company at 2 Copper Queen Plaze, Dennis Cope, Jeweler, 35 years in Bisbee. Features hand made gold and silver jewelry with local turquoise and gemstones around the world, specializing in opal. Your first choice for fine, locally handcrafted gold and silver jewelry. Offering the largest selection of Australian fire opals in the southwest. We specialize in Australian fire opal jewelry set in gold and silver. We also offer a large selection Bisbee turquoise and Sleeping Beauty turquoise jewelry. If you are looking for local southwest gemstones set in gold, look no further! We have them: Bisbee turquoise, compbelite, Malachite and azurite; all hand made here at our Bisbee store. Paleface also specializes in contemporary Native American pottery, featuring an outstanding collection of Navajo, Zuni, Acoma, Casas Grandes and Hopi pottery, kachina dolls, fetishes and jewelry. They carry the largest collection of pottery by accomplished Navajo potters Lori Smitha and Doreen Lansing. A second store, Indian Touch, is located at 21 Main Street. Rob Page compares the art of coffee roasting to the intricate process of achieving a fine wine. roast to achieve quality and consistency. When cupping, Page takes into account body, flavor, color and aroma. And, by tasting the coffee at various roast shades, Page determines exactly when the flavor potential of a particular bean is released. “Beauty is in the eye of the beholder,” said Page in the quest for the perfect roast. “We roast the beans slow and in small batches. And, we buy the best not the cheapest; it’s a standard we set early on that our customers gladly followed. Throughout the roasting process some very popular signature blends have emerged. Award-winning favorites include: The Bisbee Blues Blend; Copper Queen Blend and the Bisbee Breakfast Blend. In addition we roast favorites such as Sumatra, French Roast, Costa Rican, Panamanian and African beans among others. in the Copper Queen Plaza & Convention Center is making fresh fudge in over 14 different flavors, come in and get a free sample! There is sure to be a flavor that you’ll like. You can try Chocolate Caramel, Cappuccino, Dulce de Leche or Raspberry Chocolate. Traditional favorites are always available, like Chocolate, Dark Chocolate, and Peanut Butter Fudge. During the holidays the Bisbee Scoop is featuaring peppermint fudge called Candy Cane and green Pistachio Nut fudge. You can fudge a little or fudge a lot. The price per pound is $11.99 and you get a half pound free with every pound you purchase. Some customers just buy a “chunk” to munch on right away. Others are buying boxes of fudge for gifts. Ask about the gift wrapping and shipping to friends, relaties or business associates. is a fun place to bring your family and friends for fudge and ice cream delights like hot fudge sundaes, banana splits, milk shakes and good old ice cream cones! The Bisbee Scoop is open 7 days a week from 11am to 9pm. Call 520-432-7879 to find out what is the flavor of they day. REASON #10: Old Bisbee Roasters on Naco Avenue next door to Bella Roma Pizza. Seth Appell is your personal coffee roaster! I’m a bit of a coffee fanatic, and I’ve tried roasters from coast to coast. The coffees from Old Bisbee are an order of magnitude finer than any other I’ve sampled. Seth seeks out the finest small batch coffees in the world, with an ever changing selection. The beans are small batch roasted, and his employees are trained to sample the beans as the roast progresses to stop the process when peak flavor is achieved. The coffee always brews rich and thick. I’ve seen a two finger cream evolve in a large french press, and I’ve seen espresso shots pour pure cream. I served these roasts in a Tucson restaurant for some time and developed a devoted breakfast clientele until the owner opted for a less expensive bean elsewhere. I serve it at home, and on camping trips, and to date I have never heard anyone claim to know of a better roast. Free overnight shipping in Arizona, the same day the beans are roasted. Free two day shipping anywhere in the U.S… this is unmatchable service. I buy craft coffee, craft beer, craft mustard. Seth has more passion for coffee than most people have for anything in life, and his roasts are THE finest gourmet product I’ve ever sampled. REASON #12: Enjoy the best weather on this planet while you shop. Members of the Bisbee Fiber Arts Guild sell their fiber art through the shop. The studio in the basement of the local Y is devoted mainly to loom weaving. The Guild also hosts a variety of classes that are open to the public. There are weekly sessions on weaving, spinning, knitting and felting. Visitors to Bisbee are welcome to connect with our local fiber enthusiasts. Once a year, normally in May, there will be a Fiber Arts Festival at the Bisbee Farmers Market. The Guild members also take an active role in the annual Cochise County Fair demonstrating weaving and spinning. Contact info and class info can be found on their website above. The Fiber Shop is open Fridays through Sundays beginning Thanksgiving weekend through April. The inventory is always changing but usually includes rag rugs, hand knit and woven shawls and scarves, gloves and mittens, purses, fine quality fiber tools, unique hand spun and hand painted yarns for knitters, recycled silk yarn, alpaca and wool fiber, lovely hand crafted ornaments, special sweaters and much more. They’re perfect for gift giving.